Screenwriter, director and producer M. Night Shyamalan has provoked the imagination of audiences around the world for almost two decades, creating films that have amassed more than $3 billion worldwide, with mind-bending thrillers like The Sixth Sense, Unbreakable, Signs, The Village, The Visit, and most recently, Split. Shyamalan began making films at a young age in his hometown near Philadelphia and by 16 he had completed 45 short films. Upon finishing high school he attended New York University’s Tisch School of the Arts to study filmmaking. During his final year at NYU, Shyamalan wrote Praying with Anger, a semiautobiographical screenplay about a student from the U.S. who goes to India and finds himself a stranger in his homeland. In the years that followed, Shyamalan wrote Stuart Little and completed his first mainstream feature, Wide Awake, before The Sixth Sense catapulted Shyamalan into stardom and he became one of the most sought-after young filmmakers in Hollywood. With Glass, Shyamalan weaves together the unforgettable narratives of two of his visionary original films—2000’s Unbreakable and 2016’s Split—in one explosive, all-new comic-book thriller. Long before he started making his 2016 smash, Split, M. Night Shyamalan intended for it to be far more than just an electrifying stand-alone film. 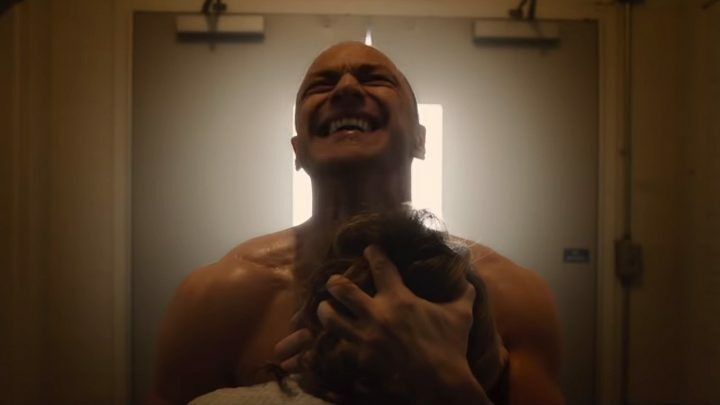 In the terrifying, breakneck thriller, James McAvoy delivered a powerhouse performance as Kevin Wendell Crumb, a man with dissociative identity disorder whose more sinister personalities kidnap three teenage girls and feed the “impure” girls to another of Crumb’s personalities, a superhuman creature known as The Beast. 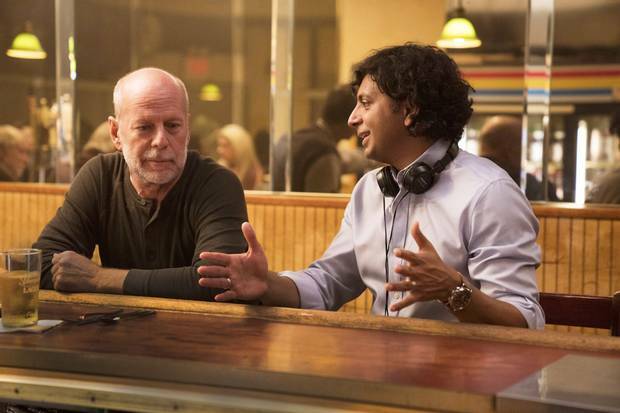 It was a riveting and powerful story on its own merits, but what no one outside of Shyamalan’s inner circle knew, of course, was that the master filmmaker also planned for Split to exist in the same narrative universe of an iconic film he had made 16 years earlier – 2000’s Unbreakable – and that Split would form the connective tissue of the most unprecedented and unexpected trilogy in film history. In Unbreakable, Bruce Willis played security guard David Dunn who becomes the sole survivor of a train wreck, and questions what would happen if superheroes were real. At the insistence of a mysterious, rare-comic-book collector named Elijah Price (Samuel L. Jackson), who suffers from a medical condition that makes his bones shatter on the slightest impact, Dunn comes to believe that he has super strength and is impervious to injury or illness. Not only that, he has the ability to see or sense the evil deeds of others simply by touching them. As Dunn accepts this new reality and begins to exercise his powers, he becomes a vigilante warrior, saving the innocent and punishing the criminal. He finds his true calling. In the film’s final scene, Dunn goes to thank Price, but in a moment of physical contact between the two men, Dunn sees, to his horror, that Price has caused the train wreck that Dunn survived, and has committed other acts of terrorism that have killed hundreds, all in an attempt to find Dunn. Why? Because if Dunn is unbreakable and a superhero, and Price is Dunn’s opposite, then Price, at last, knows for certain who he himself is: a supervillain, Mr. Glass. Shyamalan’s vision was to create a trilogy unlike any before. Where Unbreakable examined a man whose modest self-image had blinded him to his own true power, and Split explored the lethal power of a monster created by a mind wounded by trauma, Glass delves into the root of identity itself: whether we are objectively who we are or whether our minds can shape and ultimately determine our physical realities. If you believe you’re a superhero, are you one, even if your belief is a delusion? 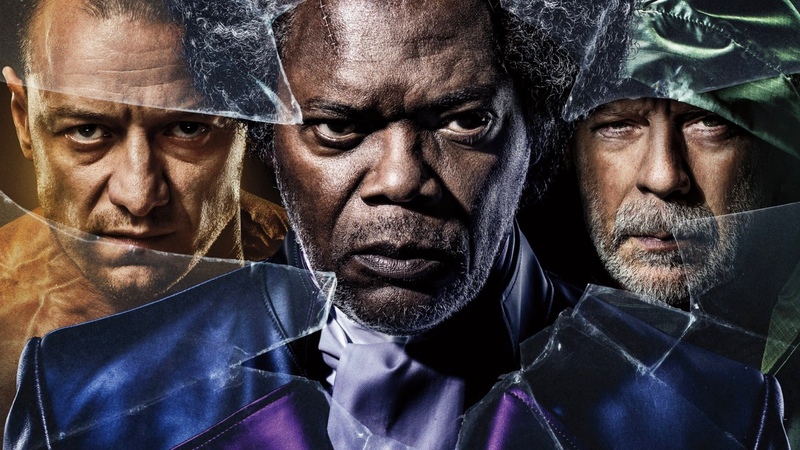 At the beginning of Glass, we discover that in the 16 years since Unbreakable, David Dunn has become a legitimate vigilante hero, known as The Overseer, protecting the citizens of Philadelphia. Crumb’s sinister personalities, The Horde, meanwhile, have kidnapped four more teenage girls to feed to The Beast. Police have been unable to find them. Dunn needs to find Crumb, and fast.